Whether or not Expendables 4 will happen is anybody's guess. What we do know is that Jason Statham still seems totally jazzed at the prospect of acting in the next installment, provided it eventually gets off the ground. Working with Sylvester Stallone is beyond a pinch yourself moment. I remember growing up watching his films. And to be directed by him and to be in a movie that he's produced and to be shoulder to shoulder with Sly is a privilege any man who loves action movies would never turn their nose up at. I mean, it's terrific. I'll do as many as he wants. With Expendables 3 having brought in a considerably lower box office take than the previous two movies, it's likely it'll be some time before we see an Expendables 4 hitting theater screens (if we ever see it at all). At least we know Statham is onboard, if and when they decide to take another shot at it. It's difficult to argue, with the most recent Expendables, that the cast numbers have gotten out of control and not enough attention is being given to developing an interesting plot. Then there's the filmmakers' decision to make it with a PG-13 rating to attempt to bring in a wider audience—something Stallone has since admitted negatively impacted the film. Whether or not going with the traditional R-rating would have saved it is anybody's guess, but a lack of onscreen violence didn't necessarily seem to be the problem for many viewers. Rather, they seem to take issue with dull characters, boring locations and less-than-stellar CGI. What can Stallone and co. do to save the franchise? 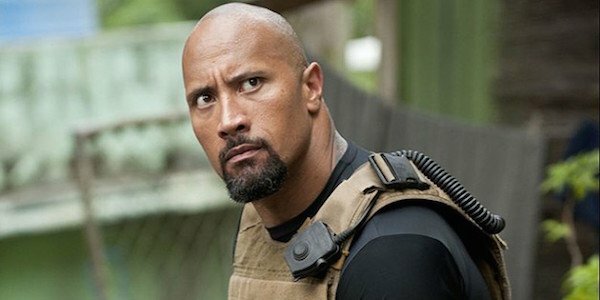 Dwayne "The Rock" Johnson's answer is simple: cast him as the villain so he can "hunt every single one of them down." In other Expendables news, there is an event series in the works with Fox with Stallone attached as an exec producer. Three weeks ago we learned the network has ordered a script for the project and has enlisted NCIS' Shane Brennan to work as showrunner. While there is no cast currently attached, it looks like it will not feature Stallone or Statham and their fellow big screen co-stars, but rather attempt to bring together a killer cast of small screen TV stars.